Is It Good? 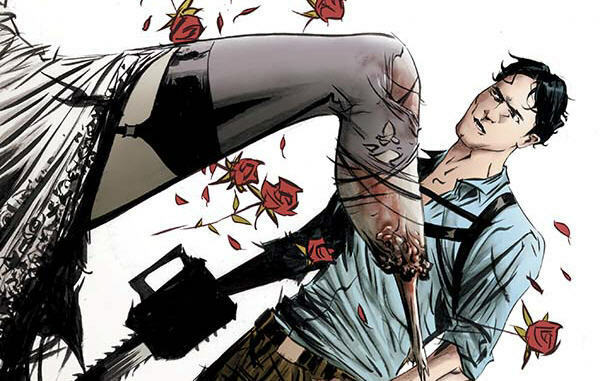 Army of Darkness: Ash Gets Hitched #3 Review – AiPT! This has been one of the most pleasurable reads in the last year due to funny dialogue, good plotting and great pacing. Can this issue continue to amaze? And more importantly, is it good? For horror writer Steve Niles’ usual effort this book is surprisingly not very scary, but that’s alright; the content is in the vein of horror, but it’s not trying to be scary, not really, as it’s more focused on character and plot than anything. This issue progresses the plot, gets Ash separated from his friends, brings back an old fling of Ash’s and sets up a battle we’ve all been anticipating since issue #1. But how did we get here? Okay so Ash is the king of sorts of this realm and he’s seeking out a big bad who even the ghouls are afraid of. On this quest he’s brought his trusty wizard and soon to be wife. They’re basically questing and it’s a fun little ride. It might just be all about freak outs considering how hard it is to kill you! This series won’t win any awards for literary achievement but as far as entertaining stories go it covers that category in spades. This issue is a bit of a transitional story but it still contains plenty of smirk inducing and action packed moments. Want to see Ash take on a giant hand? How about face an old friend from the cabin? In customary Ash fashion he cuts, punches and freaks himself out of every situation. Meanwhile Niles has his girl and wizard friends take on a hoard of ghouls. Yes, this comic sounds exactly what you think it is: an action packed issue. Heavy things are hard for Ash to understand. I am bit confused by the title of this series. There’s absolutely no marriage ceremony to speak of and in fact he’s pretty much been on a very quick day long quest and that’s about it. Maybe they are doing a play on words with “hitched” but I just don’t see it. Nacho Tenorio continues to do a great job on the art and Kelley Fitzpatrick brings it all together with her mid toned colors. Tenorio’s facial expressions are just cartoony enough to make you smirk at nearly every panel, the monsters are well rendered and I think he does a top notch job with the layouts. I also like how he uses sound effects; they aren’t so noisy that they distract and they only add to and support the art. Another good installment of this very fun and entertaining series. It all comes down to character and pacing and it has that in droves.